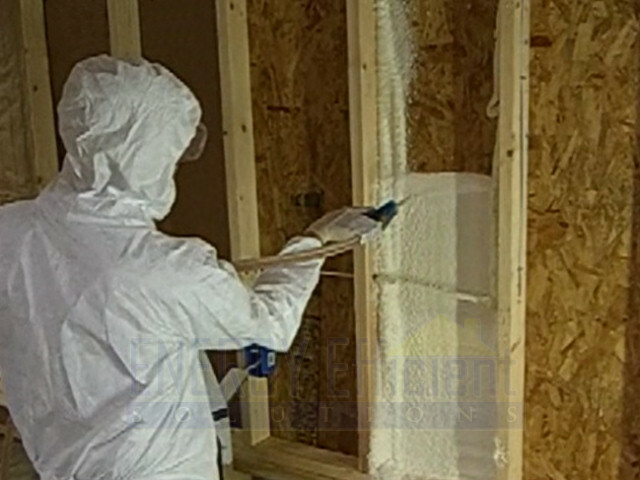 What are the benefits of spray foam over other types of insulation? Expandable foam insulation has a higher R-Value per inch thickness. In fact, closed cell foam has almost twice the R-Value of fiberglass or cellulose. Buildings insulated with spray foam are more comfortable and use less energy. Foam fills and seals gaps and cracks to provide an air seal. Fiberglass does little more than filter the air as it passes through. Closed cell foam provides a better moisture seal than all other insulation. Foam provides better sound deadening than fiberglass. Foam does not attract or provide a nesting area for pest like other insulation materials. Spray foam seals small gaps to keep out insects and other small critters. Spray foam expands to easily fill in around other objects and completely fills oddly shaped spaces. As air moves through insulation such as fiberglass, it greatly reduces the R-Value. Since closed cell foam is impermeable to air, it does not suffer from this problem. Closed cell foam increases the structural strength of a wall. 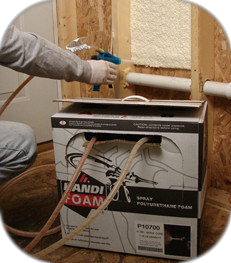 Low pressure polyurethane spray foam insulation kits are perfect for air sealing and insulating. These 2-component quick set foam kits are available in several different sizes to meet your foaming needs. Each DIY spray foam insulation kit comes with foam, hoses, spray gun and extra tips -- everything needed to get started foaming. Closed cell polyurethane high density foam is the highest quality spray foam on the market. 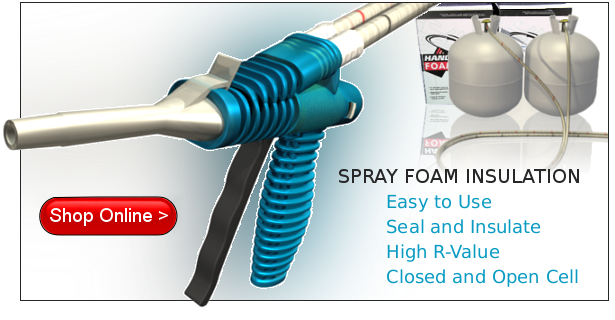 In fact, closed cell foam is the only foam that truly air seals. Fomo Products Inc. is committed to product stewardship and works hard to create expandable foam insulation spray that contributes to healthier indoor environments. Please see GREENGUARD® Certification for more information. We carry several different do-it-yourself spray insulation formulas including: Quick Cure, E-84 Class 1 Fire Rated, Slow Rise Cavity Fill, Roof Patch, and Open Cell. Which type of foam insulation is best for my application? How much do I need in my climate? View our full line of Spray Foam insulation kits. Proud to be the only Low Pressure Foam System with GREENGUARD® certification. ENERGY EFFICIENT SOLUTIONS IS AN INDEPENDENTLY OWNED AND OPERATED DISTRIBUTOR OF HANDI-FOAM® AND ITS RELATED PRODUCTS. THESE PRODUCTS ARE INTENDED FOR PROFESSIONAL USE ONLY.